Before farming games like Farmville became popular, there was a little series known as Harvest Moon made by Victor Interactive Software that had humble beginnings on the Super Nintendo Entertainment System way back when it was released in 1996. This game let you live out all of your farming fantasies (of which you never knew you had until you played it) and it slowly became quite the classic. 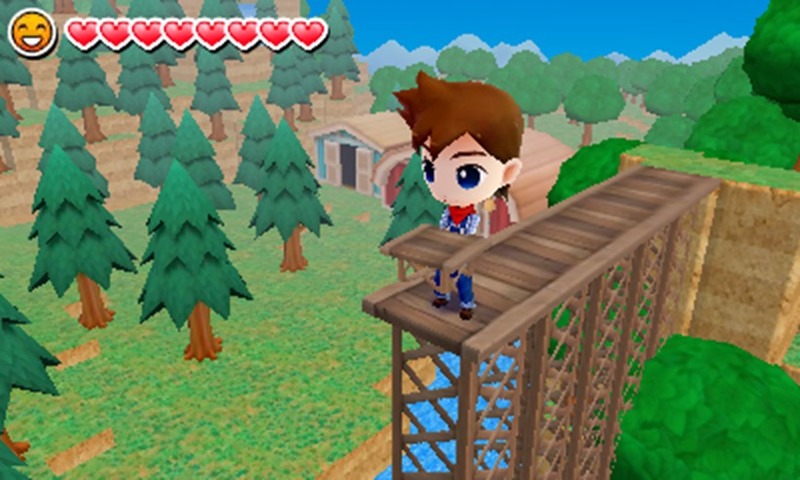 Needless to say this series has been around for quite some time and after almost 20 years of games, the franchise gets its latest entry in the form of Harvest Moon: Lost Valley. The story begins with your character stumbling upon a snowy mountain side where a little sprite guides you to safety amidst a storm. In a little cabin where you spend the night you get a mysterious dream of a figure in distress asking for your help. You learn that the figure is the Harvest Goddess and she has lost her powers thus thrusting the land into a perpetual cycle of winter. It’s up to you to restore the seasons and stop the cycle of cold by helping the little Harvest Sprites and the people of the land with their various farming needs. Harvest Moon was never known for having an incredibly deep storyline but this is by far one of the thinnest and weakest plots I’ve ever seen. The foundation of the story is built upon a loosely tacked on dream and to make matters worse, all NPCs are introduced this way. There is no town or place of exploration outside of your little cabin area, so when you decide to rest for the day, you’ll randomly have dreams or visions of an NPC you’ll meet sometime in the future. That NPC will at some point, rock up at your cabin and will roam around there for a set period of time. That’s it, without rhyme or reason; they’ll suddenly show up at your place, speak to you and wander around. At the end of it all I felt a bit disconnected and had little to no attachment to the story or characters even though you can build relationships with some of them and even get married. While the story failed to grab me, the gameplay, while flawed, was surprisingly fun at times. A lot of the mechanics have been streamlined making for an easier farming experience. Inventory management and item selection has become less prevalent and you’re able to quickly till the land, plant seeds and tend to your crops thanks to those actions being mapped to buttons instead of having to manually select an item to do it as with past titles. It’s extremely easy to get into and as time progresses you’ll get a barn to house animals in and there’ll be special events that you can partake in. The only downside is that the game is an exhausting marathon to get though and the good stuff only really comes once you properly invest your time into it. 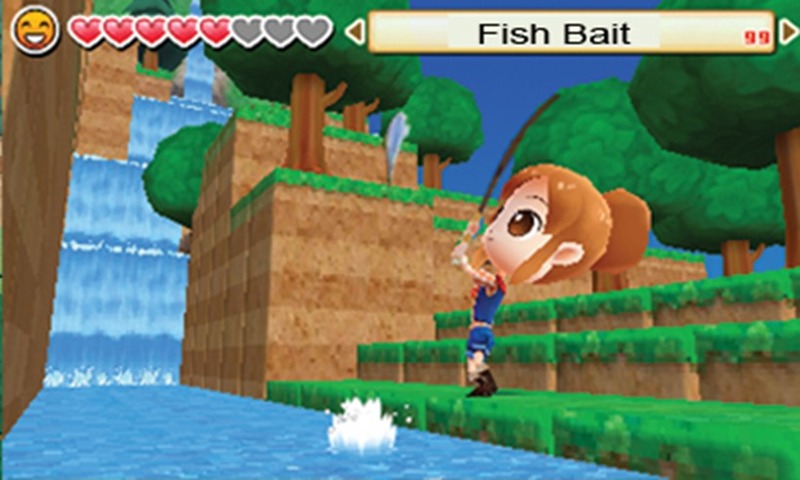 The game quickly throws you into the world but without much context and as a result, the initial stages were filled with aimless rinse and repeat gameplay. Once things progressed further however, the farming became much more natural but I couldn’t help but get a ‘too little too late’ feeling, but I can’t discredit the game for what it gets right, eventually. New to the series as well is the ability to reshape the land in a Minecraft-like manner and while it doesn’t give you the freedom to create all sorts of whacky creations; it’s a neat gimmick that allows you to shape your farm to your liking. This mechanic also affects how your crops grow as different levels of elevation can also cause mutations in your crops leading to unexpected results, so it’s fun to experiment a bit with that. The game for the most part looks okay, nothing really stands out and nothing is overly bad or jarring. The music fares pretty much the same. There are only a handful of songs in this game and after a while I just turned it off and played some other music in the background instead. Character models are cute and fit the general visual theme and the dialogue for the NPCs was well written for the most part. It’s hard to recommend this game to anyone, even long-time fans. 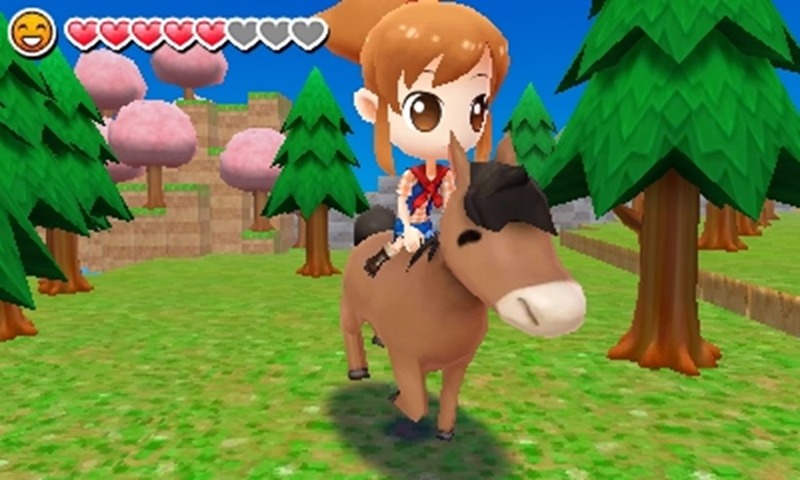 Most newcomers won’t even know that the original developers left to make Story of Seasons while Natsume decided to continue using the Harvest Moon name with a completely different team. The series has a long and rich history and Lost Valley struggles to retain the heart and soul of previous titles and while it does a few things right and does end up being somewhat enjoyable in the end, the road to reach any semblance of enjoyment was just too long and never feels worth the time investment.